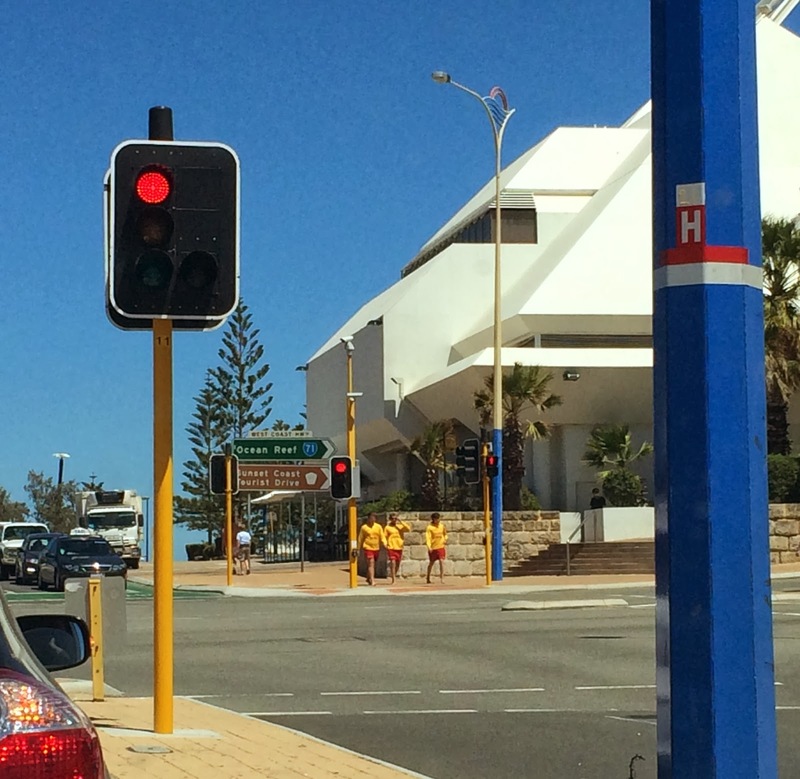 Surf Life Savers walking around. People in bikinis and board shorts. crossing the street with no shoes on. Even on a normal weekday.